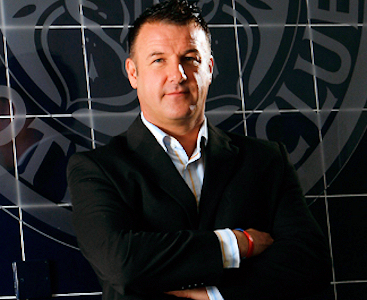 Christmas celebrations in Blaby this year will see Steve Walsh, former Leicester City football player, turning on the town’s festive lights at Johns Court shopping precinct. The big switch on will take place on Friday November 29 at 6.30pm, which will be followed by late night shopping until 8pm. There will also be free parking all day in council car parks. There will be a road closure from the Fox and Tigers pub on Lutterworth Road up to the Aldi roundabout from 6am on Friday November 29 and the road will reopen after the event. This will allow for Blaby Farmers Market to run during the morning until 1pm. From 4pm there will be a hive of activity with stalls, chance to meet Santa and feed the reindeer, free face painting and treats from Santa, hog roast, bouncy castle, children’s rides, the “best shop window” competition, and live music and entertainment. The event has been organised by Blaby Parish Council in partnership with Blaby District Council. For more information contact Vicki Jepson, Blaby Parish Manager at clerk@blabyparishcouncil.org or call 0116 278 4728 or Liz Oakes, Blaby Town Centre Manager at lo1@blaby.gov.uk or call 0116 272 7729.